TVVVVVV Tropes - The mashup that no one asked for! Hello all, I made a level! 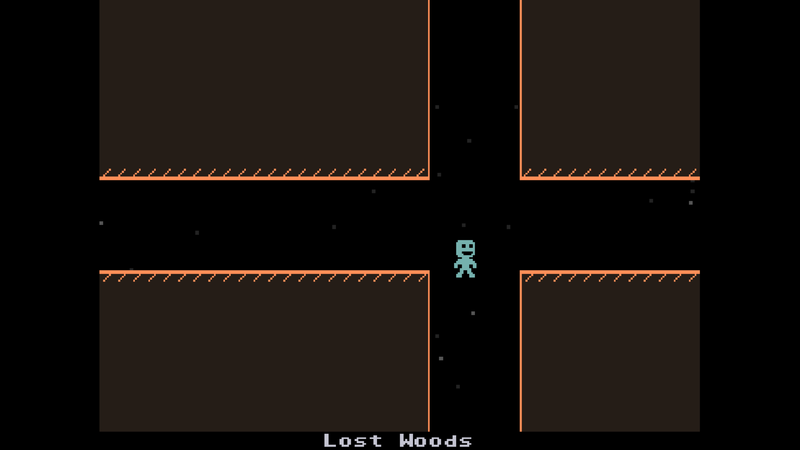 It started with the idea of a VVVVVV level where every room name is a page on TV Tropes, with obstacles based on that trope, and it kind of spiraled out of control from there. Long story short, I finally got around to finishing it after like 3 years, and it's ready to be played! There's 6 "dungeon" areas to go through, each with its own theme and a boss fight at the end, plus some fun dialogue involving the crewmates and the mysterious villain. It doesn't fill the whole 20X20 grid, but it's pretty sizable. You can get it here. I also attached the a zip file if that link doesn't work. Re: TVVVVVV Tropes - The mashup that no one asked for! 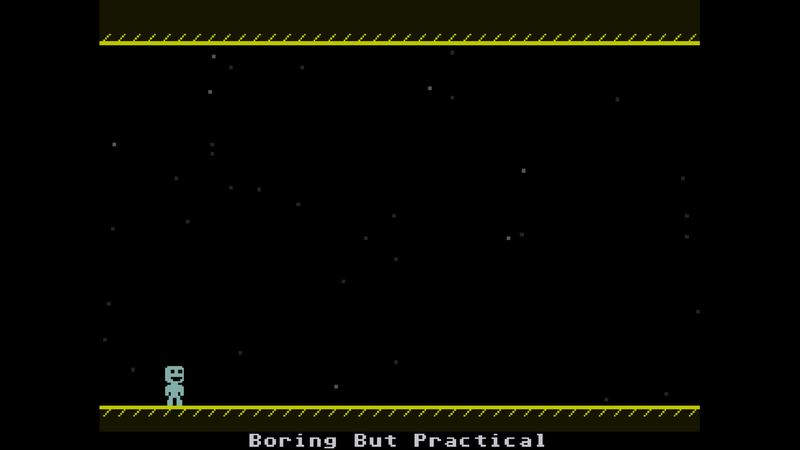 Not since "The Jaunt" have I come across a level so clever in concept, and yet so over-the-top with its difficulty. "That One Boss" in particular drove me to the point of turning on invincibility, as did most of the last section. In fact, I can't see how "That One Boss" is possible in theory, much less in practice. Yeah, I really should've playtested this more with other people. 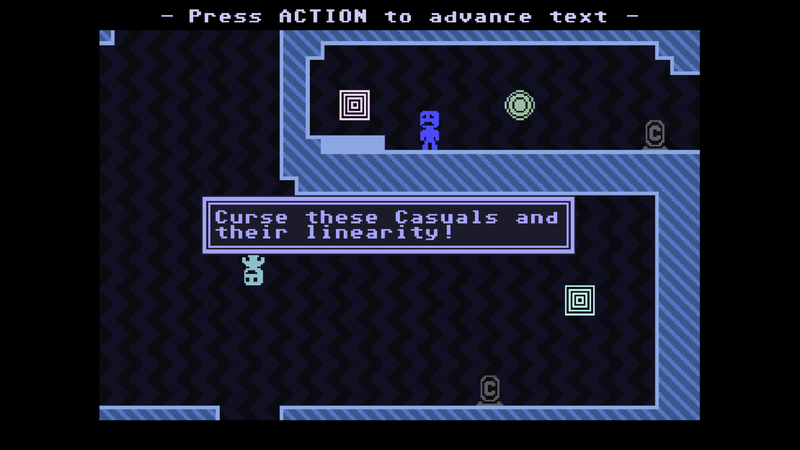 It's kind of hard to gauge difficulty when I'm the designer and I know exactly what to do. I was never fully satisfied with That One Boss; the idea was supposed to be to watch its pattern and wait for just the right moment, but I just sort of got used to waiting about 9 bounces of the first enemy and then running, which works but is kind of unintuitive. I may have to go back and redesign that. Were there any parts that did hit the right balance of difficulty for you? "Too Fast to Stop", near the end of the tower-like area, is a really good room. 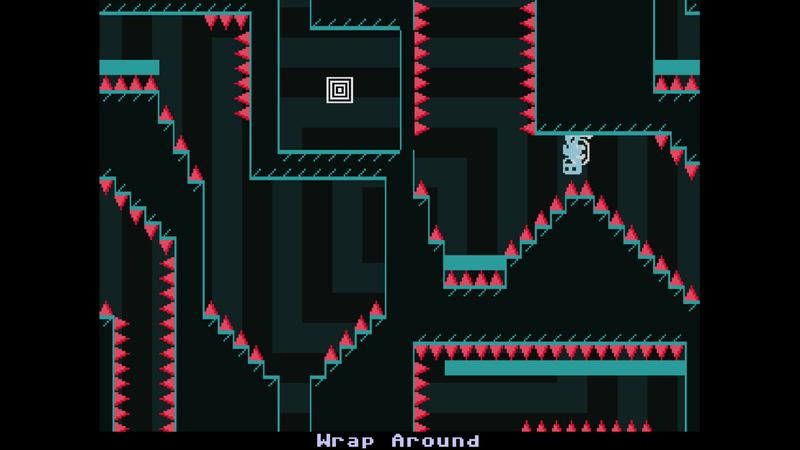 In general, there's just way too many rooms that require precision swerving around narrow, spike-filled vertical passageways, which doesn't fit VVVVVV's controls. has a lot of inertia, right? 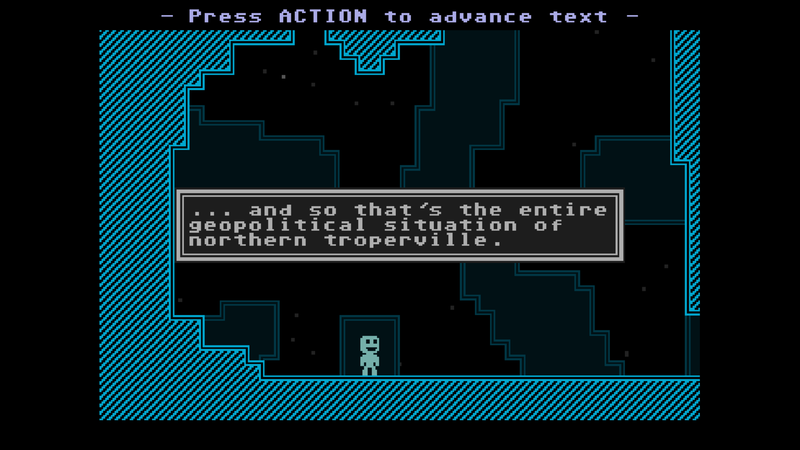 Great level, I loved the theme of the rooms named after tropes and 'Breather Boss' made me laugh. Some other sections were really tricky though, I was proud to get through it without having to use invincibility. Pretty good level, there were a lot of very hard rooms but I liked it. I liked the room names, but I always got stuck at That One Boss before I read the replies. 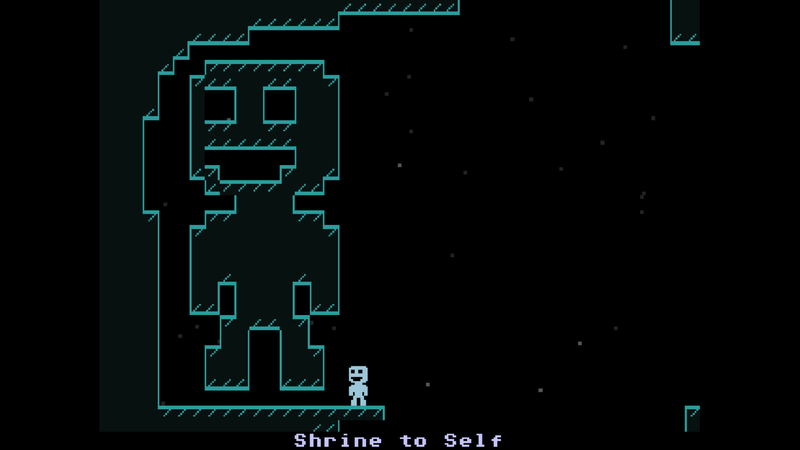 I liked the automatic room and the level's nonlinearity. 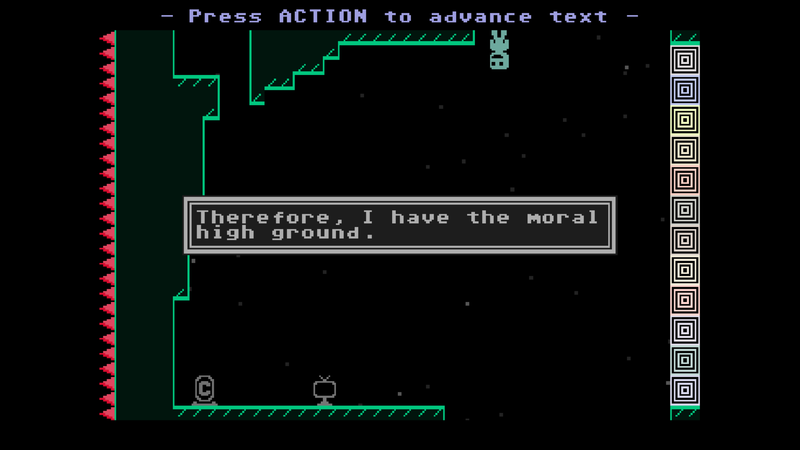 Good level but hard. This is absolute genius. I enjoy fourth wall breaks. The “Subverted Trope” section was especially hilarious. Because I had the curiosity of going back to the previous room, after having cleared the final dialogue and saved at the last checkpoint, the warp tokens which were originally blocking my path suddently came back, and since I couldn't trigger the dialogue that makes them disappear anymore, I was basically softlocked and was forced to re-complete the entire custom from scratch, which I was determined to do. Now I tried to hide it for spoilers sake, but there doesn't seem to be such function here. The fix would be to make those said warp tokens disable forever, even when leaving the room or loading a save-file at the end. Or removing that checkpoint, although that would just get around the problem itself. That's probably not going to happend any time soon, but I'm warning. are you sure there's no spoiler function? That's a slightly convoluted way to do it imo, but I do get it so let's move on. maybe dont make them that small tho! Wow gosh, I haven't checked this thread in a while. Uh, yeah, I'm not too surprised I left a glitch like that in. I was usually pretty good about keeping flags set and stuff but I'm not surprised I got sloppy towards the end, haha. Not much to be done about it now, though, I guess just be advised to not leave that room once you enter.